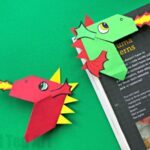 Earlier in the week we shared with you a fantastic DIY Dragon Mask Template Craft – use the template to layer and create your own AWESOME Dragon Masks from coloured card or craft foam. 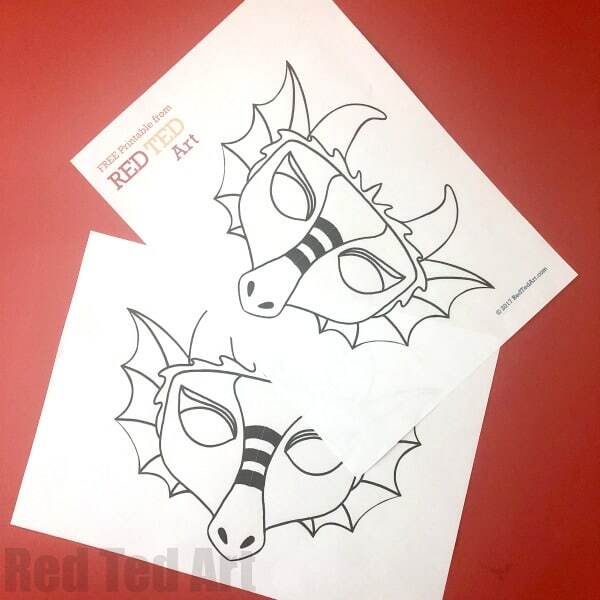 If you are a little short on time, we have the same Dragon Mask Design, as DIY Dragon Mask COLORING Page!! 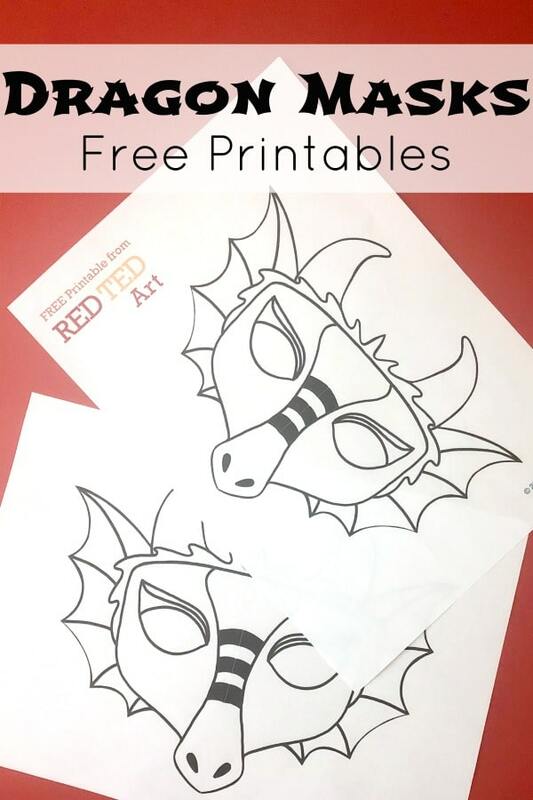 Print this onto light card stock, get the kids to colour it and then either use some elastic or a craft stick to turn it into a fabulous Dragon Mask for Kids. 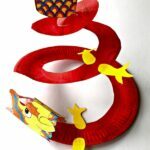 Perfect for St David’s Day or Chinese New Year or any child that simplye LOVES Dragons! So fun! 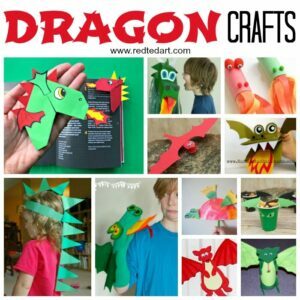 Do check out the rest of our Dragon Crafts, as well as Chinese New Year Crafts! On to our simple dragon mask how to! 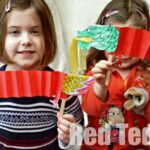 I think the kids will also love our printable Chinese Dragon Puppet with Head and Tail! Take a peak. 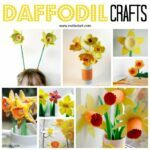 Making your simple dragon mask, really is easy!!! 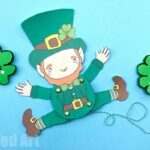 Begin by printing out your template onto light cardstock – if you don’t have any, you can print it onto paper and stick it onto cereal box cardboard. 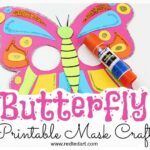 Color in your dragon mask! Use as many wonderful colors as you wish. Cut out your dragon mask – this is a great activity for younger kids to practice their cutting skills! Though you may wish to assit them a little. 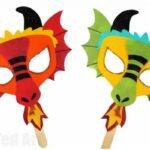 Finally – either stick it onto a large craft stick (I find recycled chopsticks are great too) or use some elastic and make it into a wearable dragon mask for kids. Your simple dragon masks are finished!!! 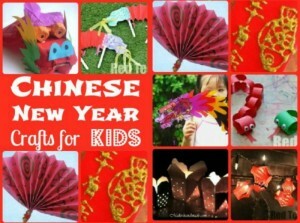 Enjoy them for either St David’s Day celebrations or Chinese New Year!